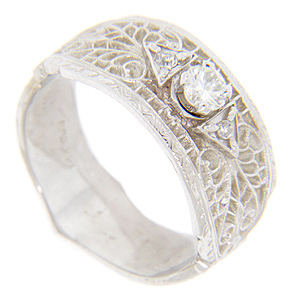 This 14K white gold antique style engagement ring features a round diamond at the center and additional round diamonds set in triangular shapes on either side. 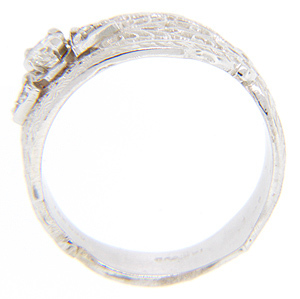 Intricate patterns cover the ring’s surface. The ring tapers and swells again down the sides and at the bottom. 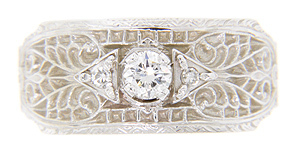 The ring measures 9.3mm in width across the top. Size: 8. Cannot be resized.